At gbac we understand the factors that motivate and drive growth are as varied as the individuals who choose to build a business in the first place. Established in the 1970’s, gbac is a team of 40 business consultants, accountants, auditors, tax advisors, payroll and legal compliance experts, trainees and support assistants. Our people are focused on providing an individual approach to our clients. Working closely with them to better understand their business and personal situation and deliver a bespoke solution that supports capital growth for businesses and individuals. If you want the proactive and holistic service you've always been looking for, call now on 01226 298298.
gbac provides a holistic range of accounting services to help you run and grow your business. 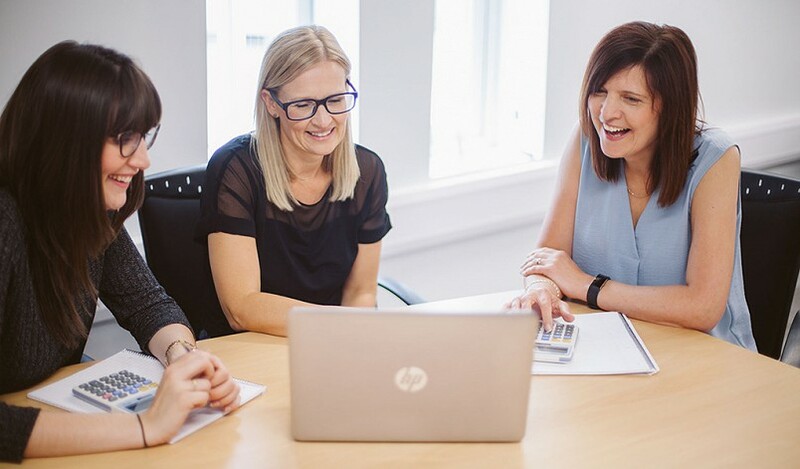 Our proactive approach to your numbers and specialist knowledge will ensure your business gets the support and advice it needs throughout the year. Go above and beyond the minimum statutory. We will suggest systems to put in place to help ensure long term financial control, governance and assurance. Our tax team are experienced in providing advice, support and even representation for businesses or individuals. Tax is a consideration in everything we do at gbac. Our team of Tax experts will save you and your business money by reducing your exposure to tax. Virtual finance department. The gbac service provides support of existing finance functions or a complete outsourced solution which enables the maintenance of a lean operation with unlimited in-built capacity for growth. Cloud accounting is revolutionising the way accountants interact with their clients. It allows immediate access to client records from any location (with an internet connection), which can produce a more dynamic relationship between business and adviser.